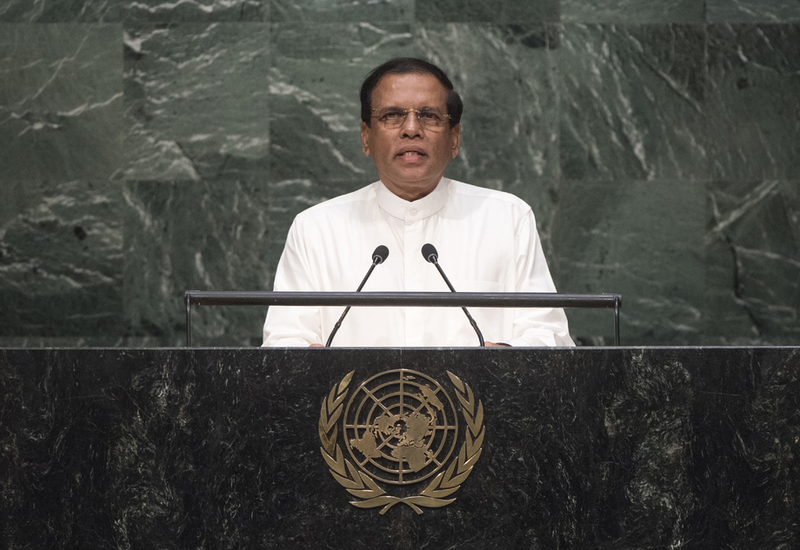 MAITHRIPALA SIRISENA, President of Sri Lanka, said “a new era of democracy” had dawned in his country on 8 January 2015, ushering in justice, freedom and equality. In two consecutive elections during the last eight months, Sri Lankans had elected a new President and a new Government. The Government had already introduced amendments to the Constitution, reinforcing good governance, pluralism and democracy, and had included in its new vision the objectives of sustainable development and reconciliation. Although his country had suffered from conflict, it had succeeded in eliminating terrorism, which continued to throttle other developing countries in Asia, Africa and Latin America, and could share its experiences in that regard. Sri Lanka, one of the oldest representative democracies in South Asia, had preserved its democratic ethos despite prolonged conflict, he said. It had succeeded in sustaining State social welfare policies despite factors that had hindered a high economic growth rate. Those policies, including universal free education and free health care, had never been compromised. Even during the years of conflict, Sri Lanka had achieved high levels in the Human Development Index. Noting the importance of the empowerment of youth and women, he stressed the need for a fresh universal approach to sustainable and inclusive development. The Buddhist ethos prevalent in Sri Lanka, he said, recognized three kinds of human conflicts: between the human being and nature, human to human and within the human being. The latter was the root cause of all conflicts, as the first two occurred when the battle was lost within the human being. Extremism, overconsumption and exploitation of the environment were among the results of man’s inability to overcome his craving. Sustainable development, therefore, should be built upon self-discipline and equity. Practice of those values on personal, community, national and global levels would mark a giant leap forward for human kind, he said.